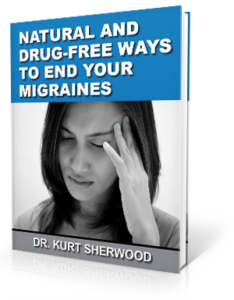 It is unclear to those in the medical community and researchers exactly why migraines occur. However, a connection has been seen between migraines and a misalignment in the upper bones of the neck – the C1 and C2 vertebrae. A misalignment here creates a problem with the flow of cerebrospinal fluid and blood flow to and from the brain. In turn, the brain is not getting the nutrients and oxygen in needs to function at its optimum. This can lead to a migraine. A migraine journal is a good idea to help one determine what your personal triggers are. Writing down such things as weather conditions, foods eaten, activities done, and how one feels before and after can reveal a pattern. Once triggers are identified, they can then be avoided, as possible, resulting in fewer migraines. Another thing a person can do is seek the care of an upper cervical chiropractor. Here at Sherwood Spinal Care, we help patients by using a gentle method called NUCCA to realign the top bones of the neck. Many patients report seeing significant improvements in health in as little as 1 or 2 visits.